Bad news for SETI: Even with the most sensitive radio telescopes yet designed, humans probably won’t find intelligent aliens by listening in on their phones and televisions, a new study finds. 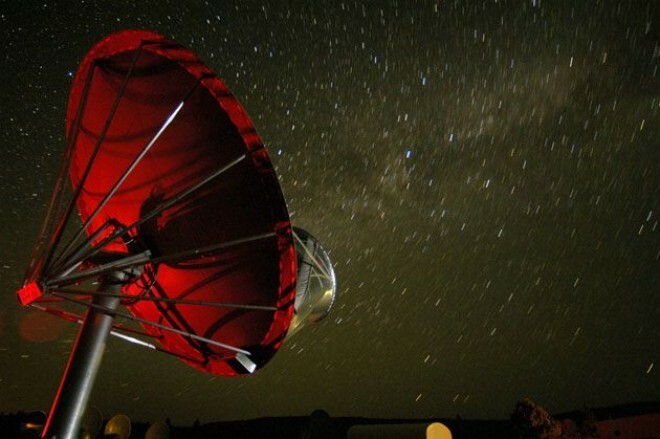 Forgan and astronomer Robert Nichol of the Institute of Cosmology and Gravitation in the U.K. set out to test the suggestion that rather than building expensive telescopes dedicated exclusively to listening for signals from aliens, SETI — the search for extra-terrestrial intelligence — could be done on the cheap by piggy-backing on other astronomy missions. 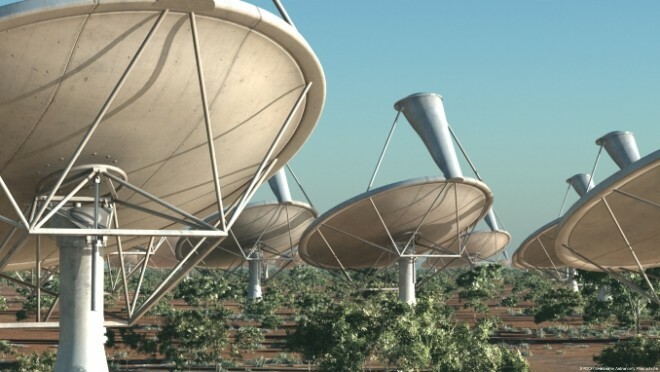 Some astronomers hoped SETI searches could ride on the coattails of the planned Square Kilometer Array, which will probe the history of the universe with thousands of small antennas spread out either Australia or South Africa. The SKA will also be sensitive in the same frequency range that cellphones, radio and television operate in. 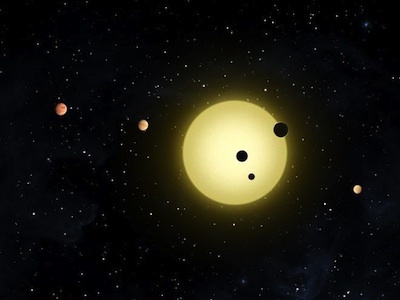 If the aliens out there are anything like us, that frequency range is exactly where we should expect to find them, astronomers have suggested. 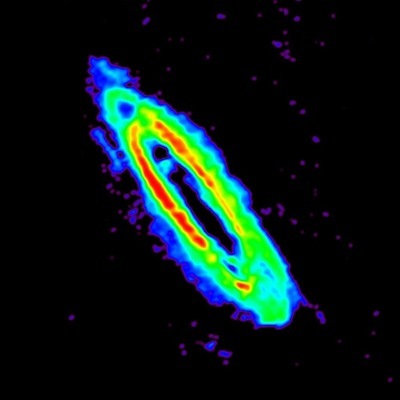 In 2007, astrophysicists Abraham Loeb and Matias Zaldarriaga of the Harvard-Smithsonian Center for Astrophysics calculated that signals similar to those used in human military radar could be detected from more than 160 light-years away using a telescope in the Netherlands called LOFAR, and more than 650 light-years away using the SKA. But assuming these aliens have technology like ours, there won’t be enough time to find them, Forgan and Nichol argue. Humans, the only intelligent civilization we know of, have been communicating using radio waves for only about 100 years — and we’re beginning to go quiet. Advances in technology mean less power is needed to broadcast, and digital communication is starting to replace radio altogether. Forgan and Nichol randomly generated about 500,000 alien civilizations based on current theories of planet formation, and an optimistic guess as to how many would develop life. They then assumed that each civilization broadcasts in radio for 100 years, and they can hear each other from up to 300 light-years away. “All communication disappears,” the team wrote. Even with a telescope like the SKA, the odds of eavesdropping on another civilization are one in 10 million. The results were posted in a paper on the astronomy preprint website arxiv.org and accepted for publication in the International Journal of Astrobiology. A more fruitful strategy would be to target our searches, Forgan suggests. We may not be able to hear leaked signals, but we could still pick up a deliberate beacon from a civilization that wanted to announce its presence. A telescope dedicated to searching for such a beacon, like the Allen Telescope Array in northern California, would improve the odds to one in 10 thousand. 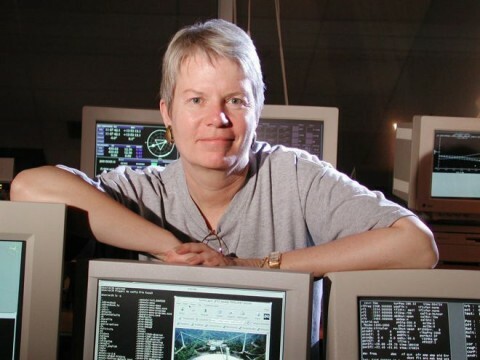 Jill Tarter of the SETI Institute thinks Forgan underestimates the usefulness of the SKA. “The SKA is being built with a large field of view and many simultaneous beams, so that there should in fact be significant observing time available for SETI,” she said. Whatever the odds, Loeb thinks we should eavesdrop, anyway. “Rather than speculate about how generic is our own evolution and whether others will be the same, we should just search,” he said. He points out that a lot of technological advances are driven by social forces. For example, Earth gave off the most radio waves during the Cold War, when radar ballistic missile searches were common. Follow us on Twitter @astrolisaFor and @wiredscience, and on Facebook.